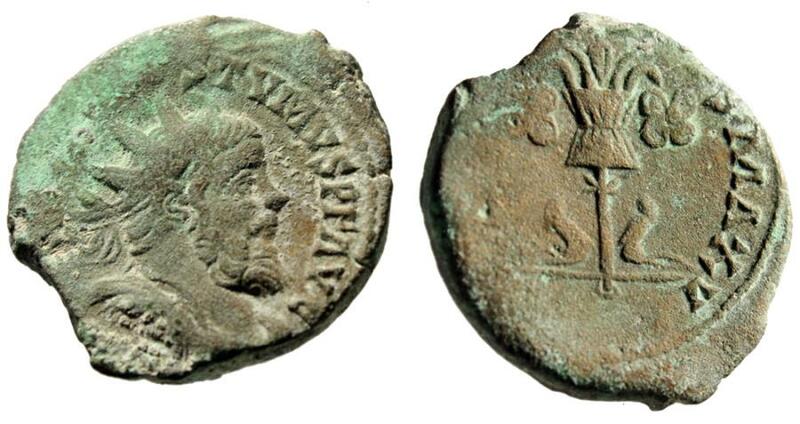 Postumus Double Sestertius. Atelier II (Trier) 260-269 AD. Obverse: IMP C M CASS LAT POSTVMVS P F AVG, radiate, draped and cuirassed bust right. Reverse: GERMANICVS MAX V, trophy with two captives. References: Bastien p. 202, 302, RIC V 198 Rare. Size: 27mm, 12.46g. Numismatic Notes: VF detail on both sides!